UAE lobbyist and consultant David Rothkopf speaks about Saudi Arabia on MSNBC on October 16, 2018. ON THURSDAY, the Daily Beast published an article about the Saudi/US relationship by David Rothkopf, a long-time member in good standing of the U.S. Foreign Policy elite. Until last year, he was the editor-in-chief of the establishment journal Foreign Policy, named to that position in 2012 when it was owned by the Washington Post. He’s also a visiting scholar at the Carnegie Endowment for International Peace and a visiting professor at the Columbia University School of International and Public Affairs. He was previously deputy undersecretary of commerce for international trade policy in the Clinton administration and managing director of Kissinger Associates, the advisory firm founded by former U.S. Secretary of State Henry A. Kissinger. But, unbeknownst to Daily Beast readers consuming his commentary about Saudi Arabia, Rothkopf is something else: a paid lobbyist for the Saudi regime’s close ally, the equally despotic regime of the United Arab Emirates. Last month, Rothkopf formally registered as a foreign agent for the Emiratis. Although the contract is in the name of “The Rothkopf Group,” that entity appears to have little real existence beyond Rothkopf himself. 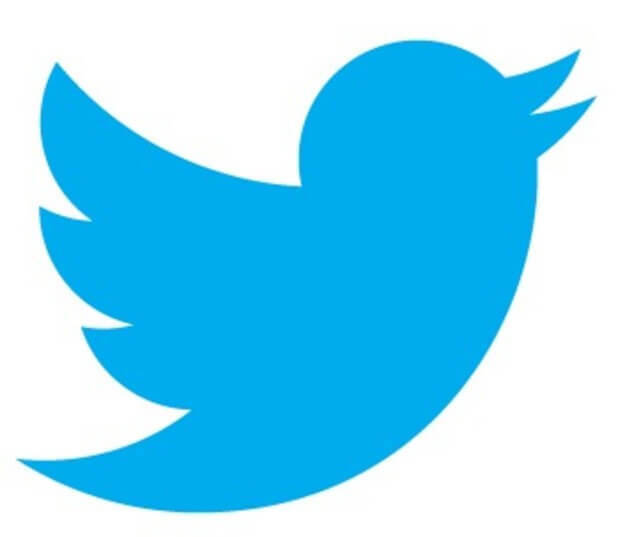 It has a Twitter account that has never tweeted, a website that cannot be accessedwithout a password, and a Linkedin page that lists a tiny handful of employees, the most senior of whom (its “Vice President and Senior Project Manager”) most recently worked as a Capitol Hill intern, a “professional dancer,” a yoga instructor and an assistant to a Commerce Under Secretary for 7 months. So one can safely assume that the vast majority of the $600,000 annual payment from UAE goes to Rothkopf personally. The Rothkopf article published on Thursday does not mention the UAE. It does, however, call the U.S. relationship with the Saudis, one of the key allies of the UAE regime that pays him, “important,” though it argues that it is not as important as it once was. Like most U.S. elites who have long defended ties with Gulf dictators but who now must denounce the Saudi despots given the P.R. anger over the murder of Jamal Khashoggi, Rothkopf does denounce the Saudi leaders in the article. But – unbelievably – Rothkopf has the audacity to criticize Trump for having “repeatedly shown great fondness for foreign leaders—even despots and known murderers, human rights abusers and criminals”, while Rothkopf himself is literally a paid agent working to disseminate propaganda for one of the most repressive regimes on the planet, one that does much of the Saudis’ dirty work for it in Washington. And the fact that the Daily Beast makes no disclosure of any of this is what makes this practice – having paid lobbyists and consultants for foreign regimes and corporations masquerade as objective and neutral analysts of the news – such a massive journalistic scandal and fraud. As the Intercept has extensively reported by obtaining his emails, the UAE ambassador who agreed to pay Rothkopf, Yousef al-Otaiba, is one of the most sinister influence-peddlers in Washington. If Daily Beast readers had been told who Rothkopf really is and how he makes large amounts of money, they would have known that he’s one of the least credible people on the planet to sanctimoniously denounce those who harbor “great fondness for foreign leaders—even despots and known murderers, human rights abusers and criminals.” But because Rothkopf’s work for UAE tyrants was concealed by the Daily Beast, readers would have no way of knowing that. (In response to The Intercept’s inquiry, The Daily Beast’s Editor-in-Chief Noah Shachtman requested additional time to provide an on-the-record comment, which we granted by withholding publication of this article by several hours, but then he failed to provide any). 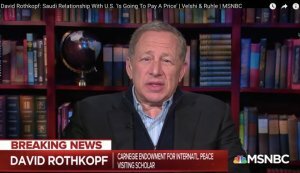 The same week that MSNBC put on this UAE lobbyist to talk about the Khoshoggi killing, PBS News Hour also featured Rothkopf as an objective guest to talk about Saudi Arabia, where only his disclosed affiliation was with Carnegie and his status as a “frequent writer about foreign affairs” was hyped to viewers. BY NO MEANS is this slimy practice – featuring lobbyists and corporate consultants to analyze the news without disclosing their glaring conflicts of interest – unique to Rothkopf or these named media outlets. Quite the contrary: it is a media-wide practice that is as scummy, pervasive and unethical as it is ignored. Note, however, that both Rogers and Eskew continue to write for the Post even though they retain a long list of other undisclosed corporate and governmental clients who pay them to carry out their messaging and agenda. As we noted, Eskew’s last column for the Post was an attack on Medicare for All even though – unbeknownst to Post readers – his firm represents industry health care clients with a direct financial interest in that topic. So Rogers and Eskew will continue to write articles for the Post with no disclosure of who their clients are and how that paid consulting and lobbyist work relates to the material the Post is publishing. How can anyone defend that as a journalistically ethical practice? Beyond those names, Fox News, along with Fox Business and CNBC, regularly feature Al Mottur as a “Democratic consultant” and contributor, which is how he markets himself. Occasionally, Fox hosts note that Mottur is a “lobbyist” along with a Democratic operative who worked for the Clinton campaign, but do not ever specify the clients for which he works. 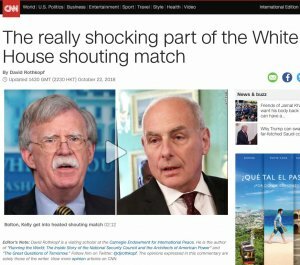 This indefensible, deceitful and blatantly unethical practice – presenting paid lobbyists and messaging “consultants” for foreign governments and corporations as news analysts without disclosing those ties – has been going on for years inside the U.S’s largest corporate media outlets. In 2009, I wrote about MSNBC’s regular use of Richard Wolffe as both a paid contributor and even prime-time guest host despite the fact that Wolffe quit his journalism job in order to go work for a corporate communications firm run by former Bush White House Communications Director Dan Bartlett. What possible justification exists for media outlets employing – or even giving a platform to – any lobbyists or consultants who are paid by governments and/or corporations for the specific purpose of disseminating “messaging,” meaning propaganda, on their behalf? Indeed, often these consultants and lobbyists are able to secure lucrative contracts precisely because their media platforms signal to corporations and governments that they have the ability to disseminate messaging, masquerading as journalism, that will serve the interests of their concealed clients. They market themselves to potential clients by touting their media platforms. This is as extreme a perversion of journalism as can be imagined. It is unethical in the extreme for news outlets to present paid lobbyists and consultants as objective analysts of the news under any circumstances, but particularly without disclosing those financial stakes. And yet, as the Saudis and Emiratis well know, this practice is so widespread among corporate U.S. media outlets that even the planet’s worst foreign regimes can clandestinely buy messaging platforms while readers and viewers who trust these outlets remain in the dark about how they are being manipulated. (TLB) republished this article from The Intercept with our sincere appreciation for the availability.